Get feminine sparkle with this stunning diamond and sapphire ring from Open Hearts by Jane Seymour. 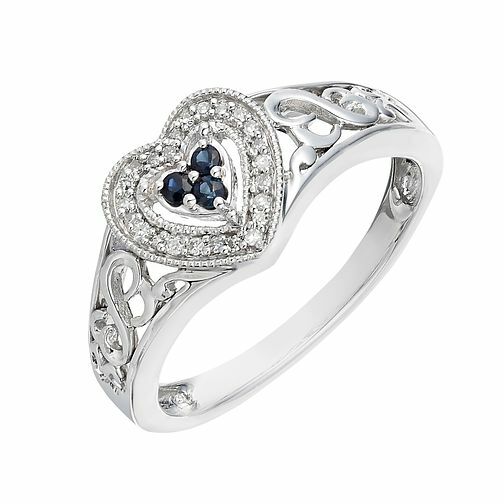 Set in sterling silver featuring Jane Seymour's intricate Open Hearts design in the shoulders, this ring showcases three sapphires at its centre and is finished with a heart shaped diamond surround. If your heart is open, love will always find its way in.